THE SOUTH coast of Spain is battening down the hatches in readiness for another pounding by winds and stormy seas tomorrow (Tuesday) with orange severe weather alerts issued across Andalucian beaches from Cadiz to Almeria – including the Costa del Sol. 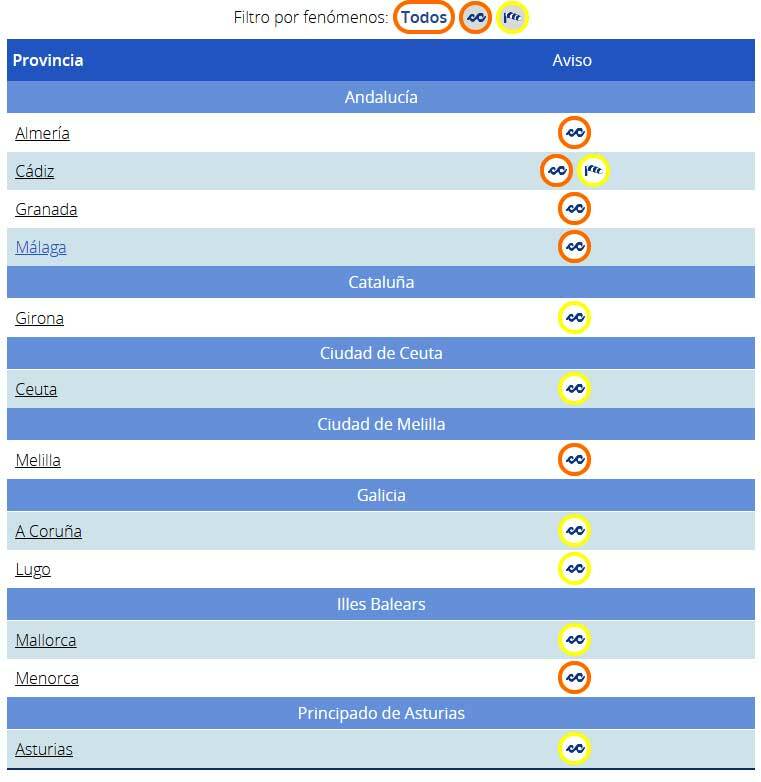 Spain’s national weather agency AEMET has issued warnings for gale force 8 winds and waves of up to five-metres in the official alerts that are in place tomorrow (Tuesday) through until midnight on Wednesday. The Balearic Islands of Mallorca and Menorca are also on alert. As a taste of things to come frightening footage of a ferry battling heavy waves leaving the Spanish enclave of Ceuta has been posted to social media.